The inspiration for today’s gift guide is drawn from the vibrant, free-spirited world of Bohemia. 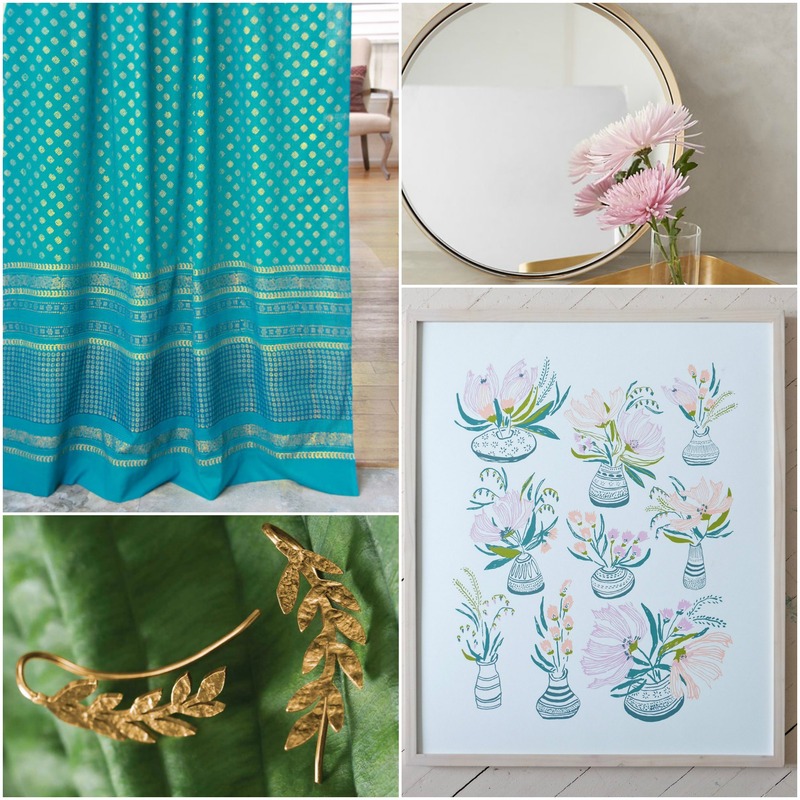 We’re featuring two prints that are perfect for one who loves all things vintage, for a friend who radiates flea market chic, and for anyone who loves bold color! 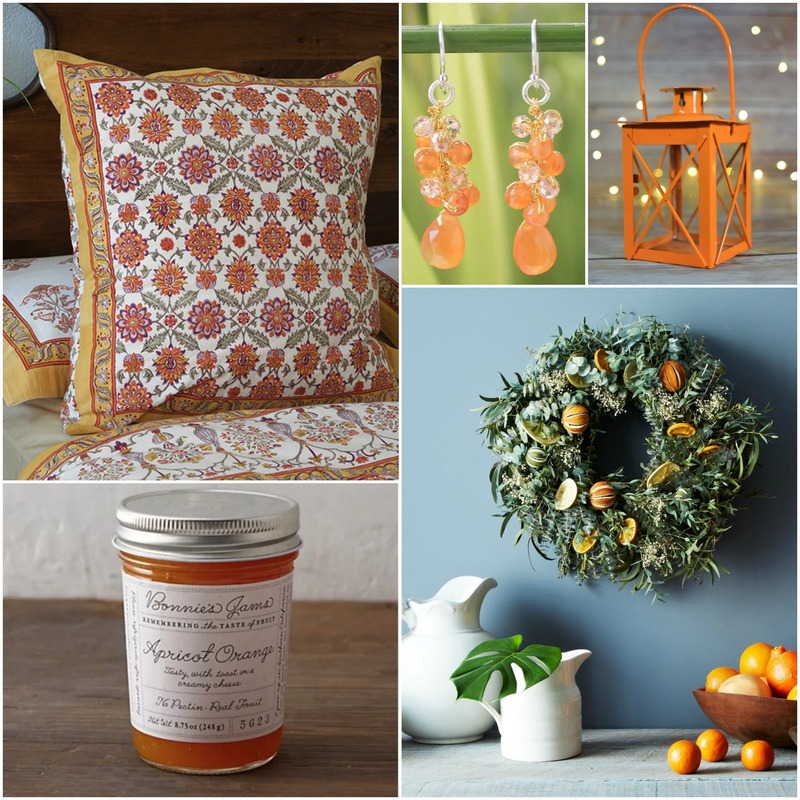 First, our cherry pink, very floral India Rose and next, our vibrant, citrine Orange Blossom. 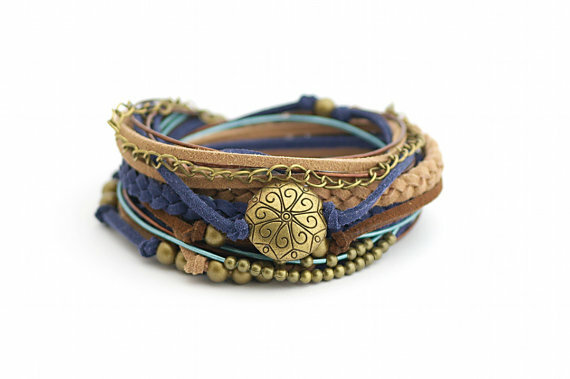 Layer these two together for free-spirited fun! 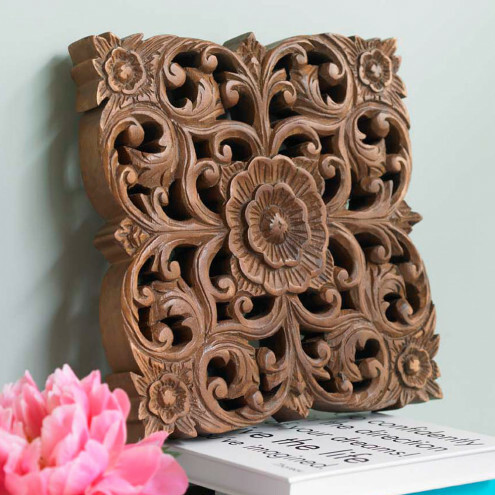 Perfect for our bright, floral space, carved teakwood lotus flowers will add texture and dimension, and warm, hand-touched authenticity to any space. If you’re looking for a gift that is sophisticated and shiny this holiday, this very well may be it! Now, for a place to store all the things! 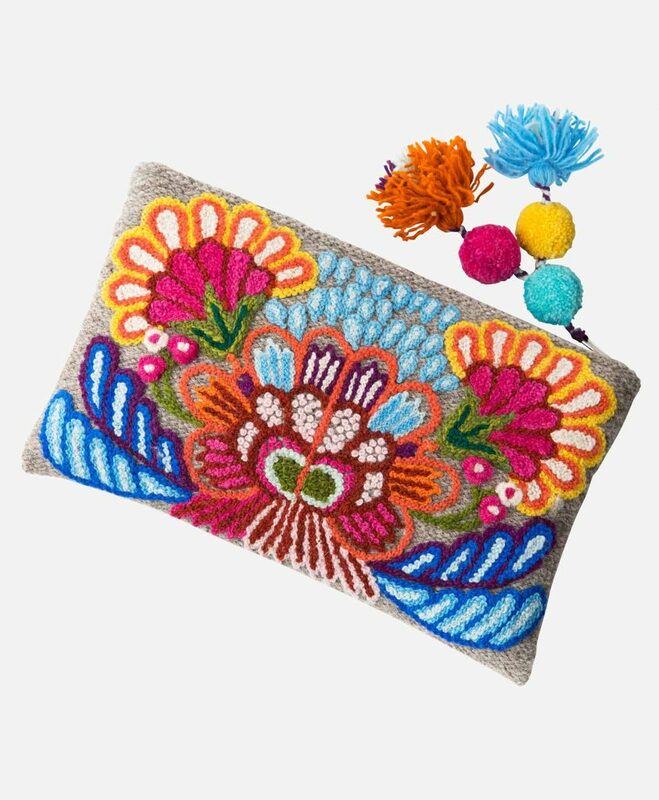 This fair trade bag is hand embroidered with the colors of Peru. Definitely cool enough for the interesting people on your list! 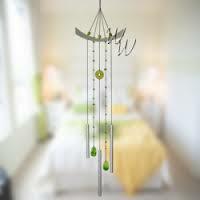 Handmade with stone and lyrical elements, this sweet chime should bring a peaceful, easy feeling to all who hear it. 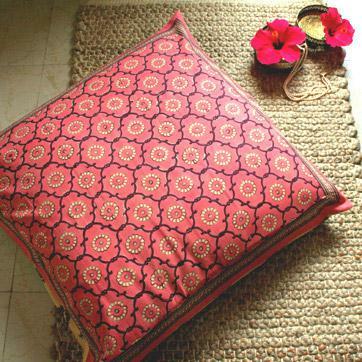 Any piece from our Orange Blossom or India Rose collection would make an amazing gift for the beautiful people you love. 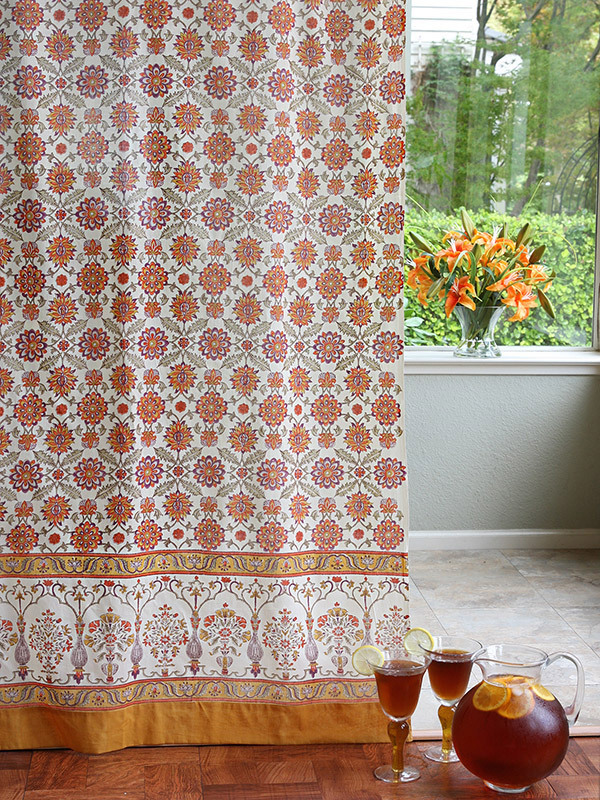 All of these linens are high quality, hand printed, 100% cotton, and made using fair trade practices. 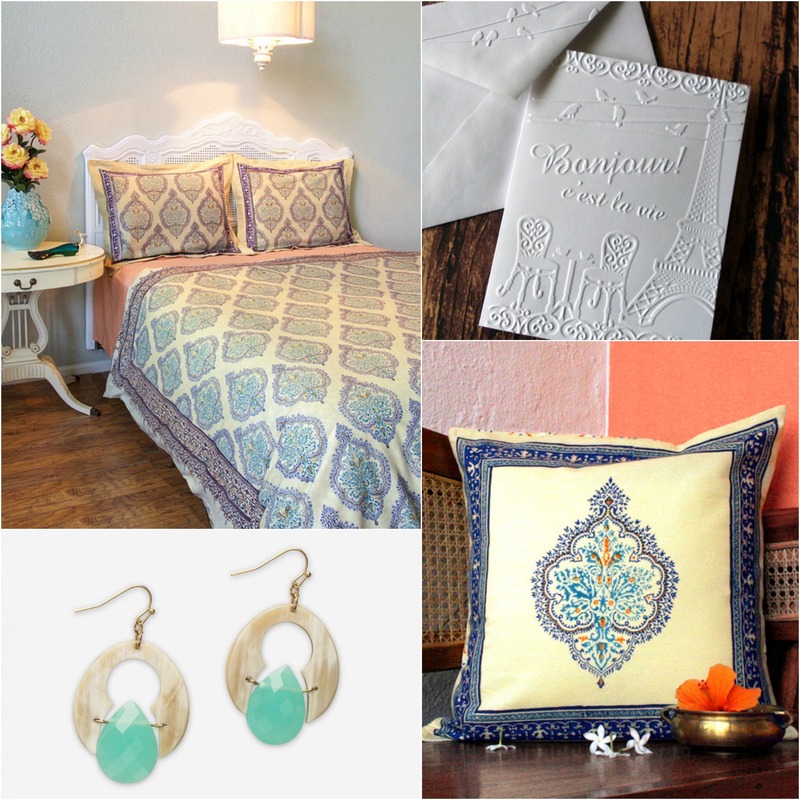 Here are few picks for your gift-giving pleasure!